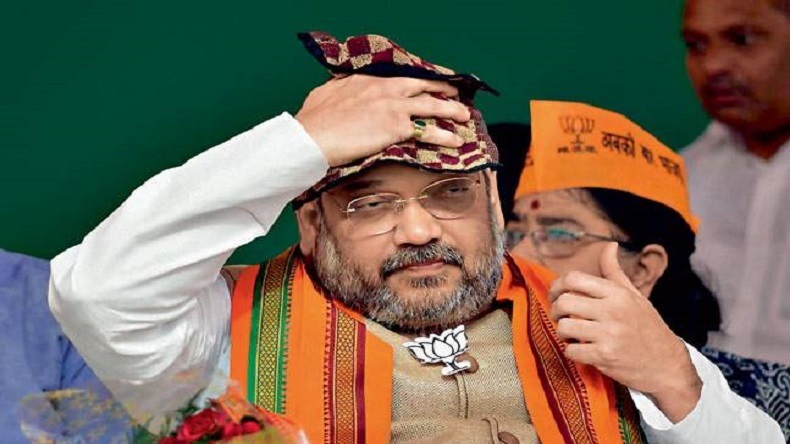 Amit Shah admitted to AIIMS: BJP national president Amit Shah was admitted to All India Institute of Medical Science (AIIMS) in New Delhi on Wednesday, January 16, after media reports said the senior BJP stalwart was suffering from swine flu. BJP stalwart was admitted to the Safdarjung-based hospital around 9 pm following complaints of chest pain and breathing issues. Amit Shah admitted to AIIMS: BJP national president Amit Shah was admitted to AIIMS in New Delhi on Wednesday, January 16, after media reports said the senior BJP stalwart was suffering from swine flu. It was also confirmed by him on his official Twitter handle. Through the tweet, he also sought people’s blessings to be fit soon. As per PTI report, Mr Shah was admitted to the Safdarjung-based hospital around 9 pm. He was admitted following complaints of chest pain and breathing issues. Meanwhile , last week Mr Shah addressed the two-day BJP national council meet, in which many BJP leaders including Prime Minister Narendra Modi, Union Minister Rajnath Singh, participated. The event was inaugurated by Mr Shah at Delhi’s Ramlila Maidan. With just a few days left for the Lok Sabha polls 2019, Mr Shah here had asserted that the Opposition is trying to forge an anti-BJP front because they can’t defeat PM Modi alone. He also hailed PM Modi’s persistent commitment in passing the upper caste quota Bill, which was recently passed by President Ram Nath Kovind, that provides 10 reservation to economically weaker sections among the general category. Speaking at the event, Mr Shah had said that the quota Bill is a dream come true for the Indian youths and with that the Narendra Modi government has fulfilled the dreams of many youths. On the other hand, old rivals-Bahujan Samaj Party chief Mayawati and Samajwadi Party president- recently announced their alliance for the upcoming General elections 2019, leaving behind the oldest political party of India, Congress. The two parties said that it would contest from 38 seats each, and will leave Rae Bareli and Amethi for the Congress and other two for any future allies.